*Editor's Note: Text below translated by Google from the original Spanish text. 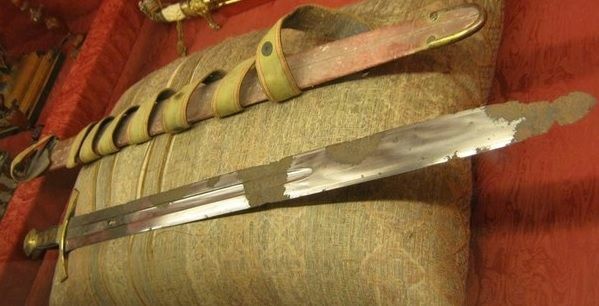 Two things are conspicuous about this sword which fly in the face of common sword myths. 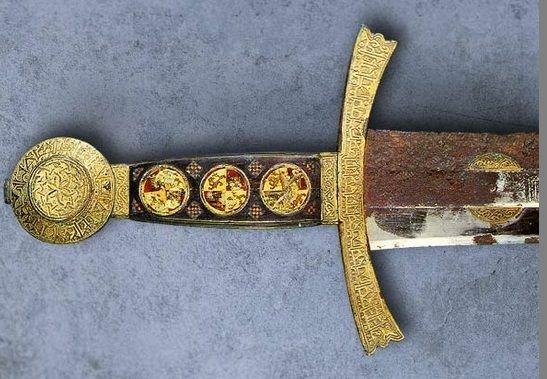 The first myth is that the mirror polish is an anachronism for medieval European swords, the second is that medieval European swords did not have secondary bevels. 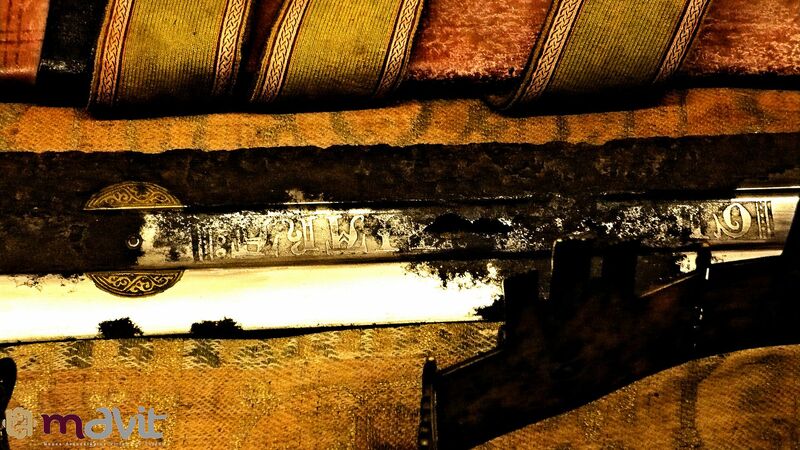 This sword is mirror finished, the finish remarkably well preserved in places by the scabbard. 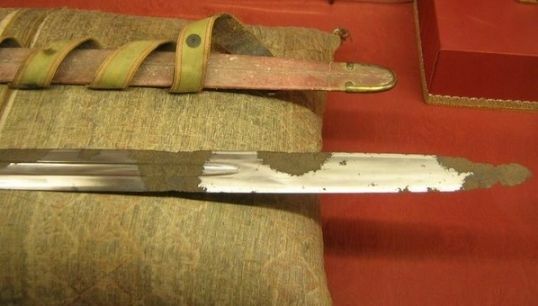 This sword also, like so many others which have not been subject to heavy corrosion and restoration has a distinct secondary bevel. 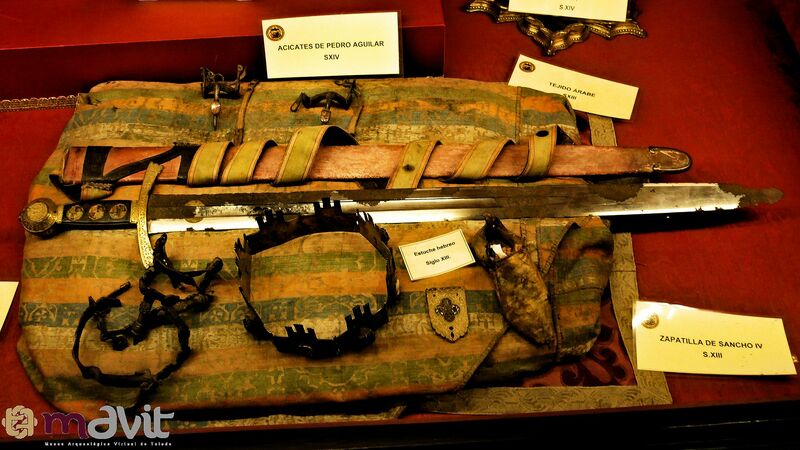 * It was tucked into the coffin as part of the trousseau in 1295 , year of the death of Sancho IV , and found in 1947 by opening the grave at the request of medical de Oliveira Salazar, looking for the remains of King Sancho Capelo Lusitanian dethroned. 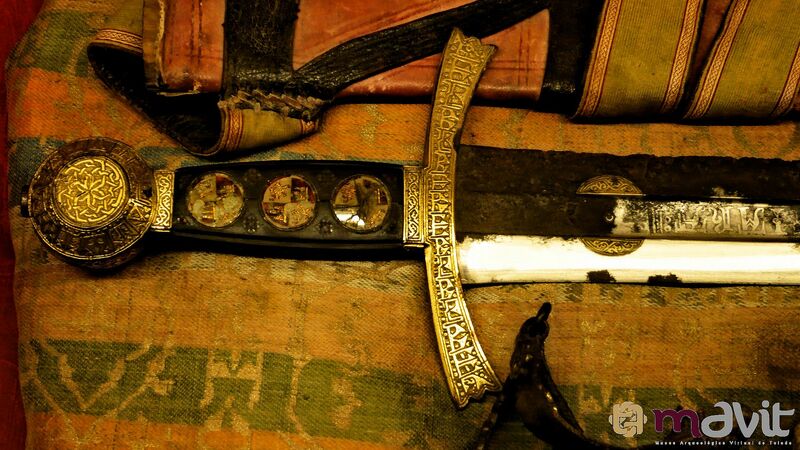 * With two-edged sword and round toe . 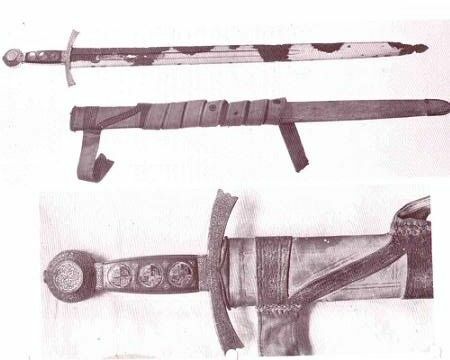 * CRUZ : (which protects the hand leaf rival ) made of bronze ; sitdown ; leads ornamentation seems Arabic calligraphy , but it is not. * FIST : rectangular prism of a dark hardwood inlaid enamel leading to the arms of Castile and Leon . * POMO : ( Far spherical handle ) bronze ; I lobular formed by a truncated cylinder; profuse and finely carved with motifs that repeat the cross . * The Castilian monarchs had no stable dynastic pantheon to organized in the church of San Lorenzo de El Escorial ( s XVI. ) 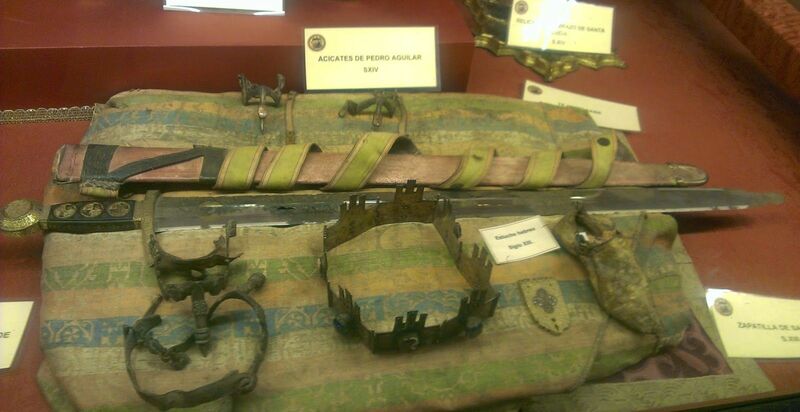 , To be buried at the Cathedral of Toledo was probably conscious decision of King Sancho IV itself.